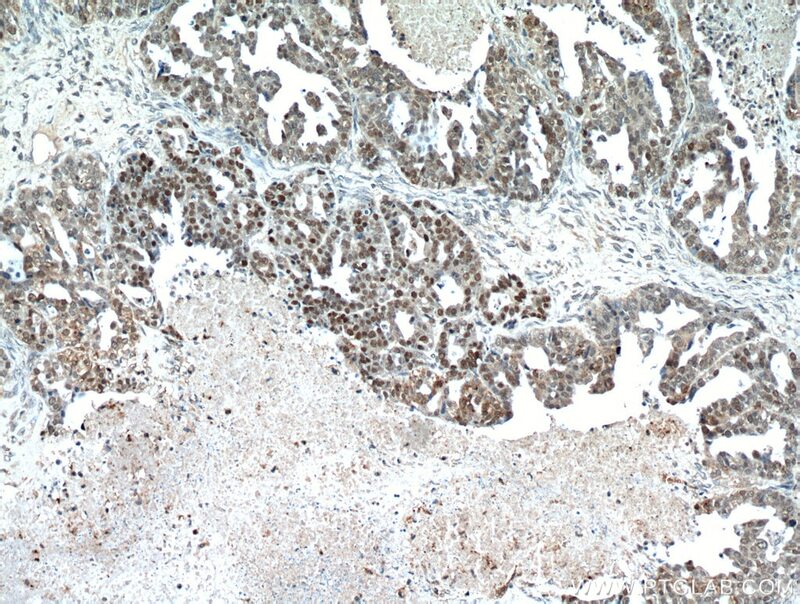 Immunohistochemical analysis of paraffin-embedded human prostate cancer tissue slide using 21891-1-AP (TP53 antibody) at dilution of 1:200 (under 40x lens) heat mediated antigen retrieved with Tris-EDTA buffer(pH9). 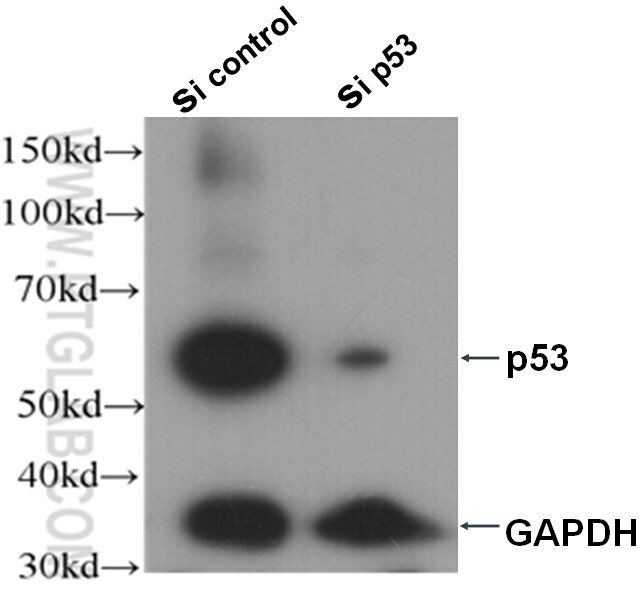 WB result of p53 antibody (21891-1-AP, 1:1000) with sh-control and sh-p53 transfected A431 cells. 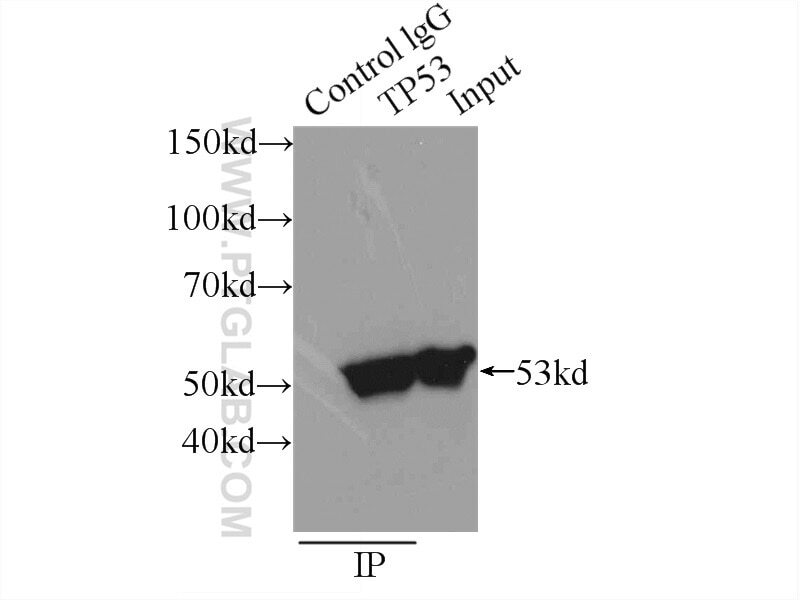 IP Result of anti-TP53 (IP:21891-1-AP, 3ug; Detection:21891-1-AP 1:1000) with A431 cells lysate 1650ug. 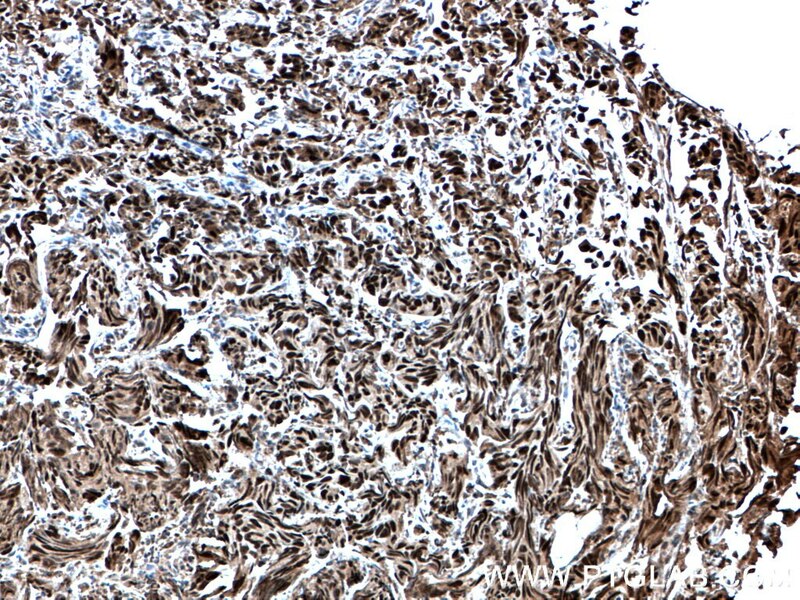 P53 is a tumor suppressor gene that plays a role in maintaining genomic stability and controlling apoptosis. During the cell cycle, it can arrest cells at the G1/S checkpoint and activate DNA repair mechanisms. It is the most mutated gene in cancer. In unstressed cells, p53 usually exists at low levels in an inactive form, being bound to Mdm2. 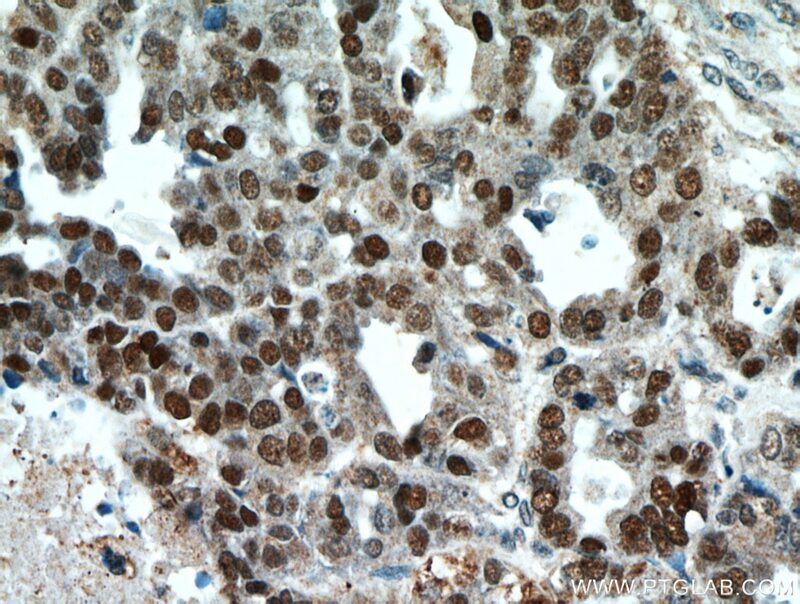 Basal levels of wild-type p53 in untreated cells can be low. Try to load more cell lysate and use a positive control – a lysate of cells treated with DNA-damaging agents should increase p53 levels. Various p53 mutations are present in cancer cell types. 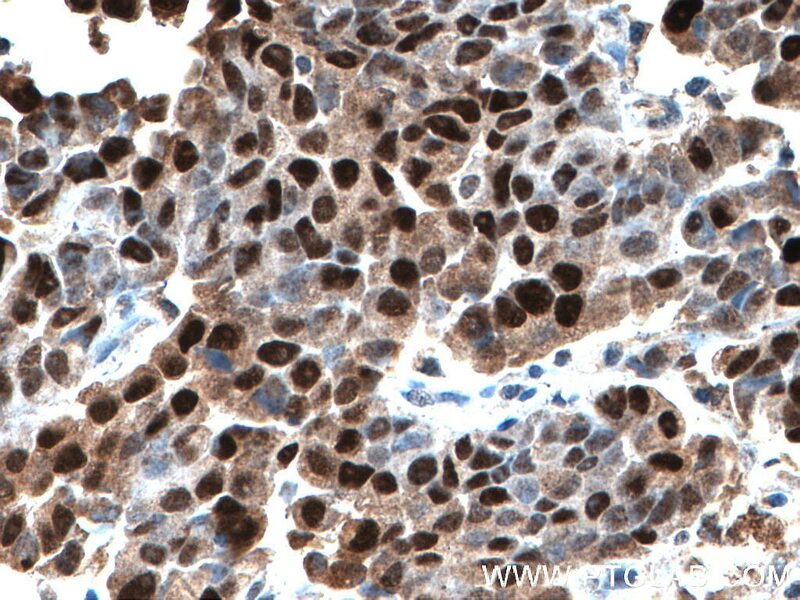 If mutations cause truncations/deletions some monoclonal antibodies may no longer recognize mutated p53. 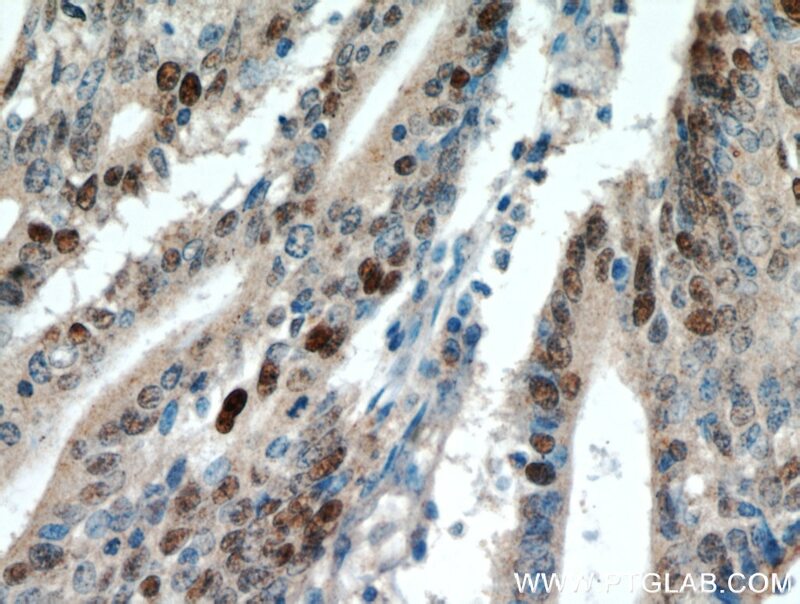 You have more chances of detecting various p53 mutants with our polyclonal antibody. p53 is a subject of post-translational modifications (http://p53.free.fr/p53_info/p53_modifications.html) and more than one isoform may be expressed (http://p53.free.fr/p53_info/p53_isoforms.html). Also, it is possible that your cell line of interest expresses one allele with mutated p53 with altered molecular weight. We really like the trial size, it lets us try to test if the antibody works on our experiment. 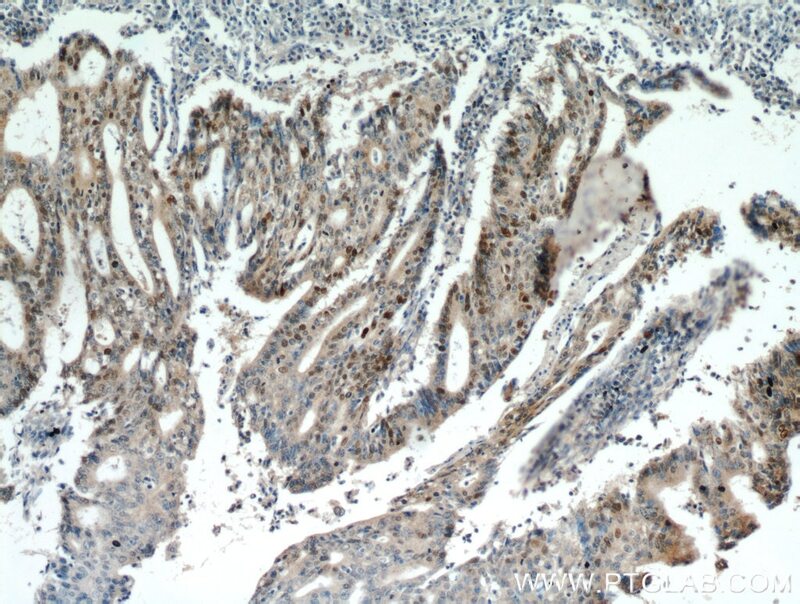 Immunohistochemical analysis of paraffin-embedded human endometrial cancer tissue slide using 21891-1-AP( TP53 Antibody) at dilution of 1:200 (under 10x lens). heat mediated antigen retrieved with Tris-EDTA buffer(pH9). 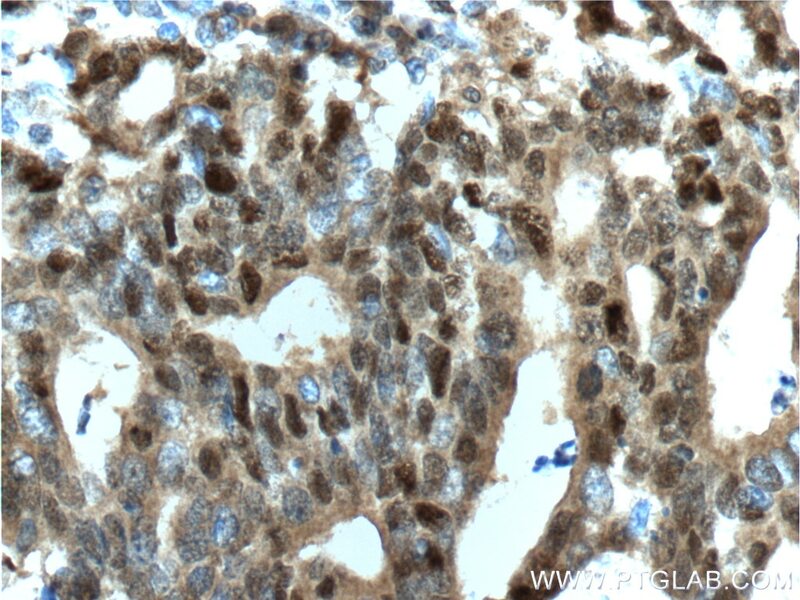 Immunohistochemical analysis of paraffin-embedded human endometrial cancer tissue slide using 21891-1-AP( TP53 Antibody) at dilution of 1:200 (under 40x lens). heat mediated antigen retrieved with Tris-EDTA buffer(pH9). 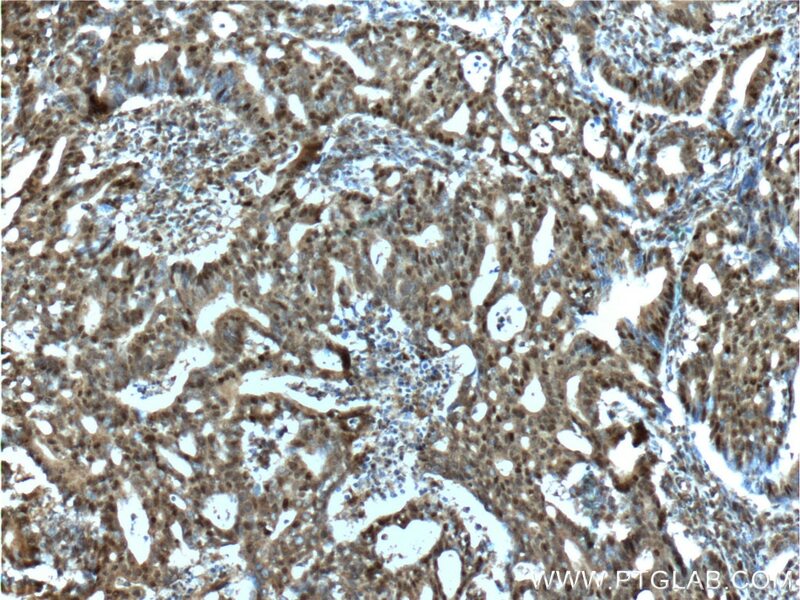 Immunohistochemical analysis of paraffin-embedded human prostate cancer tissue slide using 21891-1-AP (TP53 antibody) at dilution of 1:200 (under 10x lens) heat mediated antigen retrieved with Tris-EDTA buffer(pH9).